Point of view–how a story is told–is all important, as illustrated by this Marshall Clarke photograph, in which either the photographer (or perhaps the cover editor?) 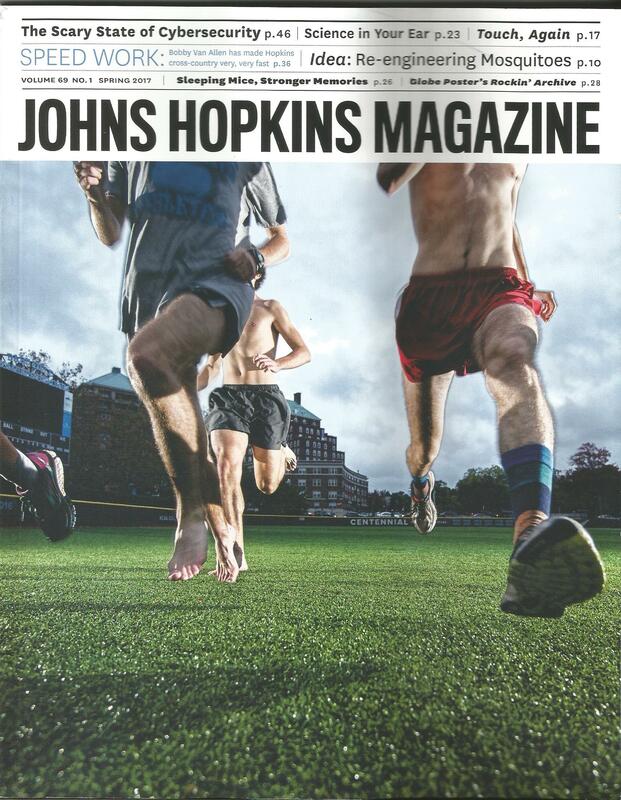 got the POV just right for this action shot to herald the article “Fast Company” about the Hopkins championship cross-country runners. This entry was posted in current photos and tagged Johns Hopkins Magazine, Photographer Marshall Clarke, Point of View. Bookmark the permalink.